China might be a saving grace for Central Asia’s economies. Earlier this week, I penned an admittedly pessimistic take on Central Asia’s short- and medium-term economic fortunes owing primarily to the collapse of the ruble. Even though the current crisis should be an important reminder of the risks of economic over-reliance on Russia, these states should seize the opportunity to appeal to China’s westward impulses. Critically, by attracting Chinese trade and investment at a time of economic need, these former Soviet republics could bring some much-needed balance to their economies. Given China’s strategic interest in Central Asia, perhaps best captured by Beijing’s “March West” concept, attracting Beijing should not be an insurmountable task for these countries. Beijing’s interest in marching west, toward Central Asia and Eastern Europe, is in part due to a desire to hedge its current over-reliance on Asia’s fragile sea lanes — fragile in the sense that Beijing is entirely vulnerable to sea-based interdiction by hostile foreign powers. Beijing’s massive land borders with the Central Asian republics and Russia carry none of the inherent geographical risk of the increasingly volatile South China Sea. 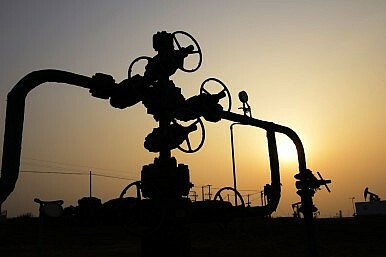 Beijing has already invested in a China-Central Asia gas pipeline which starts at the Turkmen-Uzbek border city of Gedaim and runs through central Uzbekistan and southern Kazakhstan on its way to China’s Xinjiang province. As of late 2014, China had concluded several inter-governmental agreements with Uzbekistan, Tajikistan, Kyrgyzstan and Kazakhstan. All this means that the groundwork for increased Chinese trade, investment, and financing toward Central Asia exists. Beijing should be willing to capitalize on the current opportunity in the region, not for the purposes of explicitly competing with Moscow – now a reliable partner – but to expand its linkages with Central Asia. What additionally sweetens the opportunity for China is the current collapse in global hydrocarbon prices. Central Asia’s resource exports, now largely uncompetitive on the global market, can still find a willing importer to the east. China is still a massive net importer of fossil fuels and Central Asian governments should be doing all they can to convince Beijing to import more. As I pointed out in my previous piece, a major risk of the current economic crisis is prolonged political instability in Central Asia — an intolerable outcome for Beijing. Given current instability in China’s own western province of Xinjiang and concerns about growing Uighur separatism, Beijing will be keen to preserve political stability in Central Asia. China’s checkbook diplomacy toward Central Asia thus can be about more than just energy security and geopolitical influence; Beijing will be keen to preserve its own national security by preventing civil unrest in Central Asia. China might be the best opportunity for many of Central Asia’s hurting economies to make the best of a bad situation. Approaching China does have its limitations, however. Significantly, expanding economic cooperation with China will do little to solve the issue of migrant workers’ remittances. While China can’t entirely substitute the historic and cultural relationship these countries have with Russia, it can help alleviate the longer term damage of the current crisis. Why Did Kyrgyz Stage a Protest Outside the Chinese Embassy? In Bishkek, Kyrgyz demonstrated against China’s mass detainment of Muslims, but other grievances are shaping protests too.